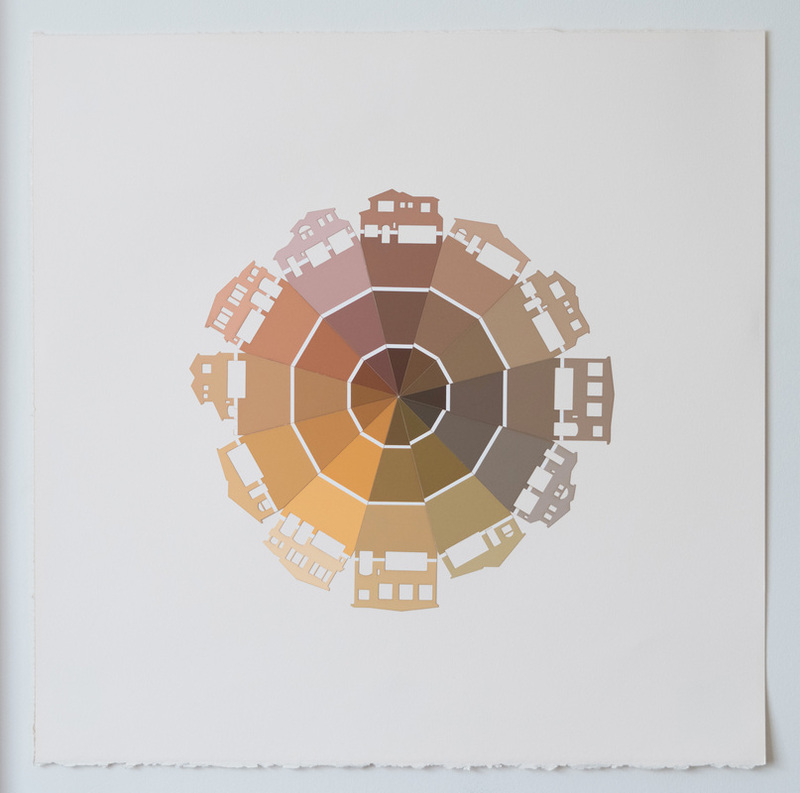 Clare Szydlowski is an Oakland-based printmaker and art educator. She received her BA from UC Santa Cruz in 2006 and her MFA from San Francisco State University in 2009. 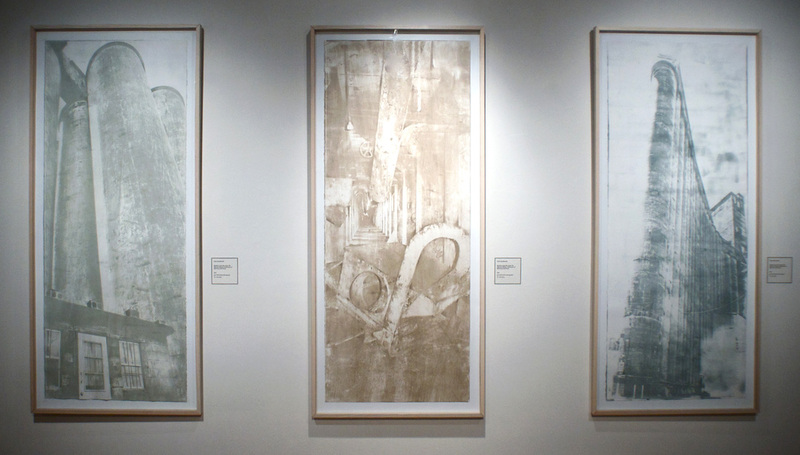 Her work has been exhibited in galleries throughout the Bay Area including Kala Art Institute, The Lab, Interface Gallery, and The Compound Gallery. Where did you grow up? 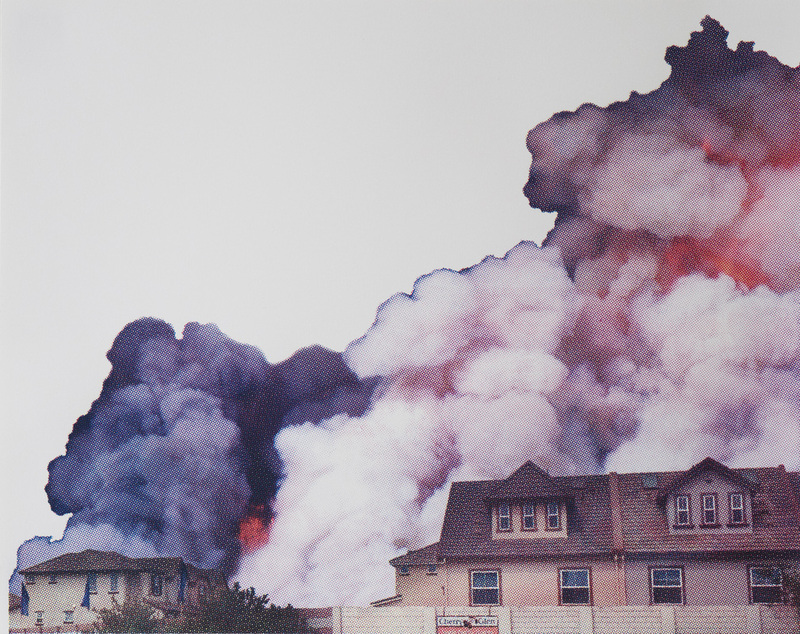 How did you get so interested in the American suburbs? Did you grow up in one? My family eventually left the Buffalo area. We relocated to an Orange County suburb called Aliso Viejo just before I entered high school. The change was drastic- culturally, geographically, socioeconomically and visually. Aliso Viejo is a master planned suburb and one that was relatively new when we moved there in the late 90s. The monotony of the visual landscape was creepy to me- every house looked like a slightly different version of the one next door and there seemed to be only 5-6 colors used in a 15 mile radius. Seeing the contrast between the rust-belt town vs. the shiny new suburb, I learned to not take either for granted as “normal” but to ask questions about what shapes the growth of a city and why cities take on the forms that they do. My associations with the suburbs are not entirely negative and my relationship to suburbia is complex- I am interested in looking at why they exist and what needs they fulfill for us as a culture. American Hinterlands is not only an investigation of the physical structures of our North American environment but also the American collective imagination. There are aspects of the suburbs: safety, predictability and convenience, that are seductive to me. It is so easy in the suburbs! There is something deeply comforting about seeing the same chain stores and knowing exactly what you can get there- knowing that you won’t be frustrated or let down. I find a surprising sense of peace in that kind of stuff- to this day I find Walgreens incredibly comforting. I will wander the aisles looking at all the products that I know they carry, all lined up, and feel a sense of refuge from uncertainty. This is why the suburbs exist- they fulfill a need for us in some regards but in others they can be very isolating and even scary as well. 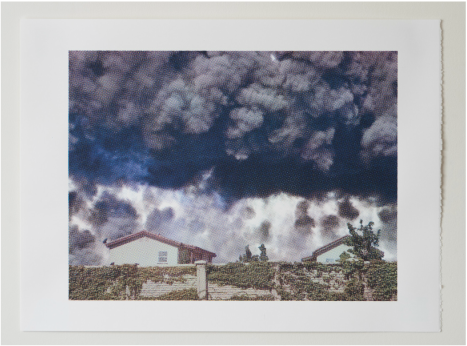 Dust and Ash // 2014 // CMYK Process Silkscreen // 13" X 17 "
Your website is called American Hinterlands, can you tell me how you came up with the title? Is this just the title of these series or do you feel like it encompasses more of your practice than the work on your site? 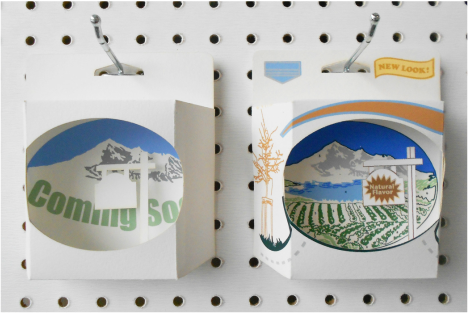 There are two reasons I chose to call my website American Hinterlands. The first is very practical: my last name is Szydlowski and there are few people on the planet that will remember how to spell that name should they want to look up my work. The second reason is that I feel it is a phrase that both guides and describes my interests as an artist. Hinterland is German word that means “the land behind” that entered the English language as a term used in geography in the late 1800s to describe the space - rural or industrial- that is tied to the urban center because of the raw or manufactured goods that it provides. This idea of “the land behind” is a fascinating one to me on multiple levels. The hinterlands shape the city physically; the building materials available and the markets that are created. Also this “land behind” can describe a psychological landscape existing beneath the physical landscape which drives the structure and culture of place as well. So to me American Hinterlands is not only an investigation of the physical structures of our North American environment but also the American collective imagination. How long have you been working on this series? How did the idea get sparked and how did it lead you into your next piece? I began the series I am currently working on in January of 2014 when I took a class on CMYK process screenprinting at Kala Art Institute in Berkeley. CMYK printing is something that has always appealed to me visually and something I had dabbled in but I wanted to get formal instruction on the process. For the class we had to create a full color image to use so I began looking through images I have collected on my hard drive. I decided to put a photo of a pristine suburban home that I took in Orange County in front of the dust clouds from a historical archive photo from the dust bowl. At the time we were deep in the drought in California and that is where my mind went. Since that first print I have created a number of these CMYK suburb disaster prints. 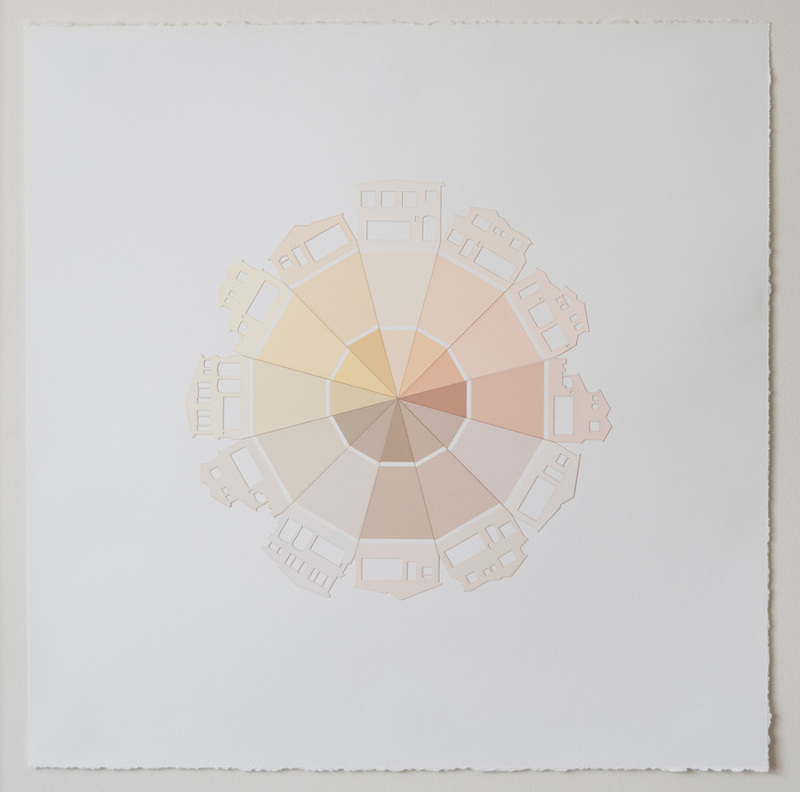 I had a residency at Kala this summer and I spent the summer focusing on this new work. As I got better at the process I began working on a larger scale and I decided to make the dots larger in my halftones to really expose the screen printing process. Did you do anything similar before? Or what did you do? Years ago I did a series of small halftone prints of suburban houses for another project. I had a lot of extra prints that I didn’t include in the series because of misprints so I began playing with painting on top of these. 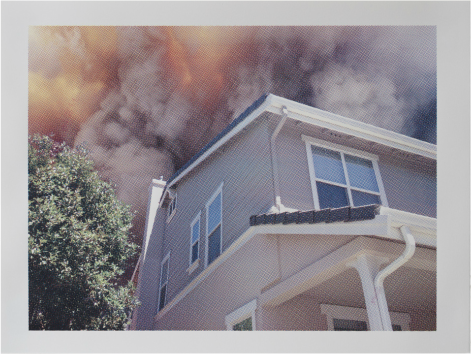 On one of the suburban home prints I painted flames and smoke rising as an experiment. It was just a test and didn’t end up going anywhere. Only recently did I find that little studio test and make the connection to what I’m doing now. Your work, particularly Approved Colors, seems to be poking at the extreme conformity of suburban life in a less than positive light while employing traditional techniques, American aesthetics, and clean design methodology. How do you feel your modes of making inform your concept? Overhead // 2014 // CMYK Process Silkscreen // 13" X 17"
I choose the materials and processes I employ for each project with a lot of thought. I want the material to already be speaking about the ideas I am working with. For Approved Colors the kind of conformity I was addressing seemed to be best suited for a really clean mass produced aesthetic so I went with laser cutting on paint samples. 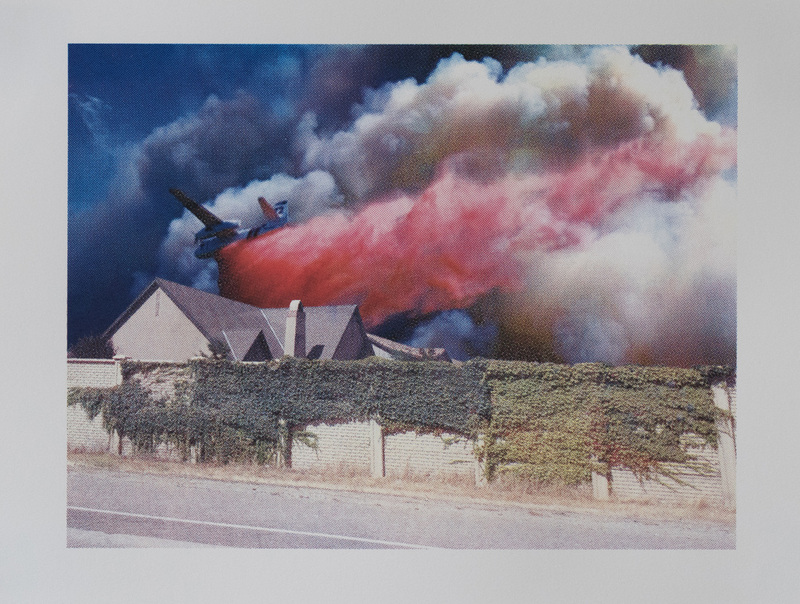 Freeway Fire // 2014 // CMYK Process Silkscreen // 9" X 12"
I really love my job and my profession. I am grateful to work with young artists, it reminds me of the passion and drive you can have at that age- the world ahead is such an unknown - anything seems possible- I think that attitude is hard to hang on to as we get older. 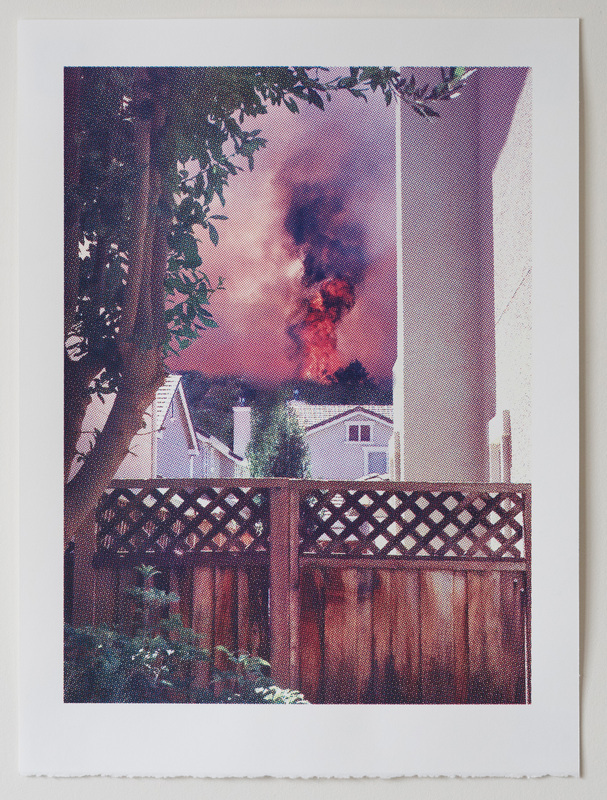 In your most recent work you are exhibiting the juxtaposition between the extreme control and the chaos of the environment through hand printed works. I can imagine this takes a lot of order and control to create. Do you consider your process part of the concept? That honestly hadn’t occurred to me but it is interesting to think about. I think the focused repetitive process of CMYK printing does put a kind of distance between myself and the subject matter much in the same way a grainy halftone picture in the newspaper distances us from the disasters we see printed on the front page. What is your studio like? Messy, clean? Organized, Chaotic? I am a bit of pack rat. 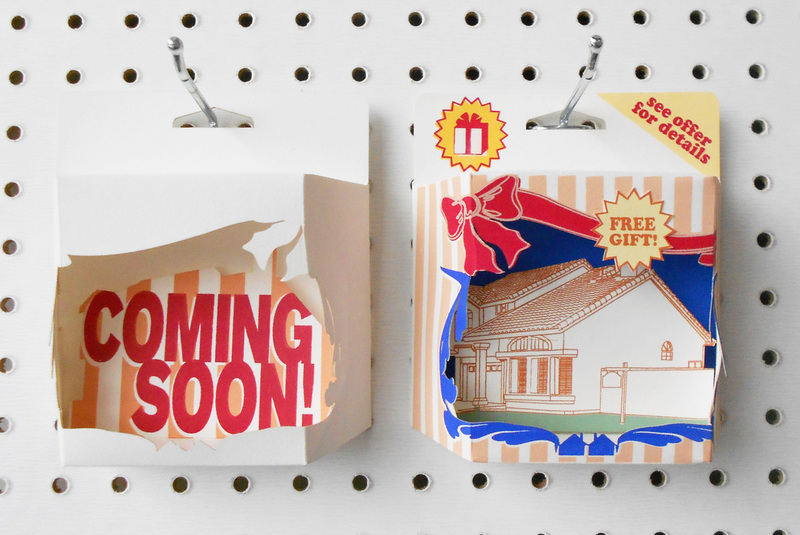 I collect lots of materials and I have a hard time letting freebies go so they end up boxed in my studio. I dream of being one of those hyper organized artists, I really do, but its just not me. I wouldn’t say my space is chaotic as much as it is cluttered. But I try to do a purge once or twice a year and my studio is awesome for like a month and then I fill it back up. Are you an ultra-planner or do you usually “go with the flow” either in regards to an individual project, or your overall life? I would say I’m a little of both. I plan, but I try to stay open to changing that plan as I go. I think planning and printmaking go hand in hand but I don’t like to be a slave to the process. I think it is important to follow your intuition and be able to go in a different direction if something presents itself during the process. I guess I’m the same in my life- I have to plan- I’m a high school teacher and I’m expected to have activities planned for 160 kids everyday but sometimes what I had planned isn’t working - a lesson is not reaching the group and I have to switch gears in the moment and be flexible and be okay with trying a different approach. What are you listening to or watching in your studio right now? Music? Documentaries? TV programs? I have a really hard time listening to music when I work in the studio. It leaves my mind too free and I am someone who overthinks everything so I need to keep my mind more occupied when I’m making art. I listen to a lot of audio books. With audio books the narrators voice is as important as the story, over the years I’ve found narrators I love and those I avoid. My favorite narrator is Johanna Parker, she narrated the entire Sookie Stackhouse series by Charlaine Harris, and she is amazing. I actually found her on Facebook just to tell her how much I liked her narration. I also love to listen to Barbara Kingsolver books, the ones she narrates herself- I’ve listened to Prodigal Summer at least 4 times there are Appalachian birdsong recordings between all the chapters it’s great! I work full-time as an art teacher at a large public high school. I teach both foundational and advanced classes. I really love my job and my profession. I am grateful to work with young artists, it reminds me of the passion and drive you can have at that age- the world ahead is such an unknown - anything seems possible- I think that attitude is hard to hang on to as we get older. I also get time to revisit the basics of art making on a daily basis- its interesting how when you revisit something simple new complexity is revealed. Although my job is enriching and rewarding I do struggle with finding time for my own art practice. I try to keep a balance as much as possible but during the school year I mostly work on small projects and develop ideas. During the summers I have off so I go into production mode and execute the ideas I came up with during the year. 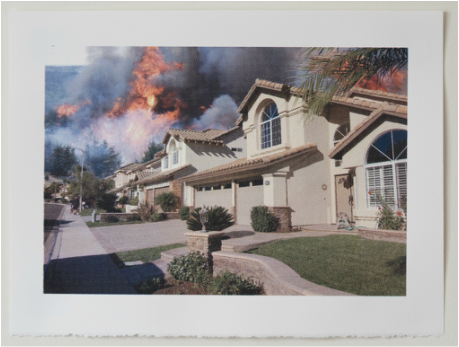 Street Fire // 2014 // CMYK Process Silkscreen // 9" X 12"
Black Cloud // 2014 // CMYK Process Silkscreen // 13" X 17"
How long have you had your studio at Faultline Artspace? I’ve been at Faultline for three and half years. I was the third artist to move in, and it was a brand new space at the time. When I first moved in there weren’t even any walls. We used to play badminton in the center of the studio and Ryan used to rollerblade around, I’ve seen it mature into an artist community it has been cool to see it grow and transform. I have a show in the works at Adobe Books for the CMYK prints early next year with two other artists Mary Anne Kluth and Shannon Taylor. I am so excited to be working with both Mary Anne and Shannon, I think our work will come together in really interesting ways. Other than that I am planning to work in my studio this summer on some new ideas and enjoy the open head space that comes from having a break from teaching. The suburbs [are] also places in decline, they are in a way the abandoned grain elevators of this generation- a structure that served us for a time but no longer makes sense in the present situation. 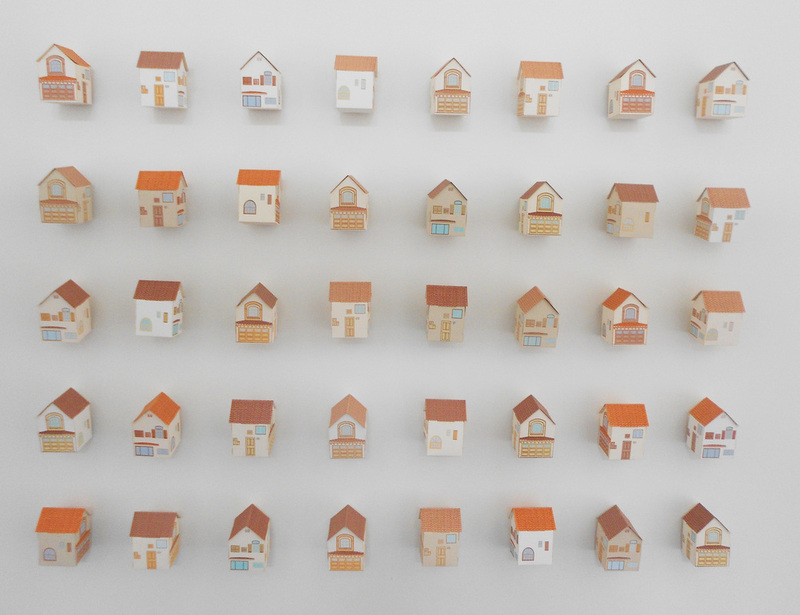 What were you making before you started all the series on suburbs or was your work always centered around these themes? And how did that lead you to your current work? Before I began focusing on the suburbs I was interested in abandoned industrial spaces and architectural structures. For my MFA thesis work in 2009 I created a series of gum bichromate process photographic prints I called The Obvious Unseen of abandoned grain elevators in Buffalo, NY. Growing up in the Buffalo area from the early 80s to late 90s I was witnessing the decline and decay of industry and the economic downturn of the city. Most of the grain elevators were already not in use when I was a kid and I had no idea what they were. Shipping is now done mostly by trucks so the canal no longer moves the massive amount of grain through the state as it once did. No one talked about the towering abandoned structures along the lake shore so in my imagination they took on many forms- I would imagine spiral staircases curving up each conical tower and wished that I could see inside of one. For my the series The Obvious Unseen I did go inside of the elevators- I actually went into almost all of the elevators in Buffalo. By that time I had studied the history of the grain elevators and knew what I would likely find inside. But I was surprised by how I felt inside the grain elevators- like I was in a cathedral; the interior spaces have orderly colonnades that have a stately presence that demand a sense of reverence. I think that having the experience of looking at a structure so closely as I did the grain elevator taught me about my own process of investigation and art-making. It also led me to explore other connections between hinterland and city and led me to investigate the suburbs as a continuation of the same interest. The suburbs as also places in decline, they are in a way the abandoned grain elevators of this generation- a structure that served us for a time but no longer makes sense in the present situation.